At CDROM2GO we realize that everyone has different needs when it comes to copying discs. 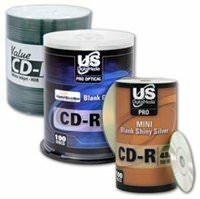 That’s why we offer both Duplication Services as well as a full line of Duplicating Supplies including Blank CD/DVD Media, Duplicators, Packaging and Ink Cartridges. Whether you need 50 discs or 50,000 we have the solution that’s right for you. Do you Need Duplication Services or Products? Do you want to use our professional disc and packaging services? Do you want the equipment and supplies to do it all yourself? Sometimes you don’t have time to wait. 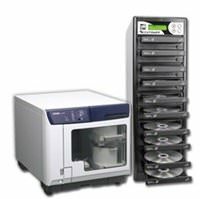 When you need CD, DVD, or Blu-Ray duplication and replication done in a hurry, look no further than CDROM2GO’s Express Service. Are you looking for solutions that fit your special needs? From churches and schools to producers and studios, we can work with you to develop custom solutions to meet your needs. Whether your business is products or people, you're going to need the very best in supplies to get the job done. We also provide full support for all of our products and services! Bob S. - "The quality of the videos you guys made, was amazing...Just an excellent job, I would highly recommend [you] to anyone who wants quality work. Thanks!!" Amanda T. - "Thank you so much to you and your team for getting our DVD order out the door and to us so quickly. I am blown away by your amazing customer service. We love your company!" Martha J. - "Our cd order arrived this afternoon. They look and sound terrific! Thank you and the USDM staff for helping make this project look so professional at a cost-effective price!"